Dark Shadows the new film from director Tim Burton, arrives in theaters this Friday, but that’s not the only Burton movie that will be released in 2012. 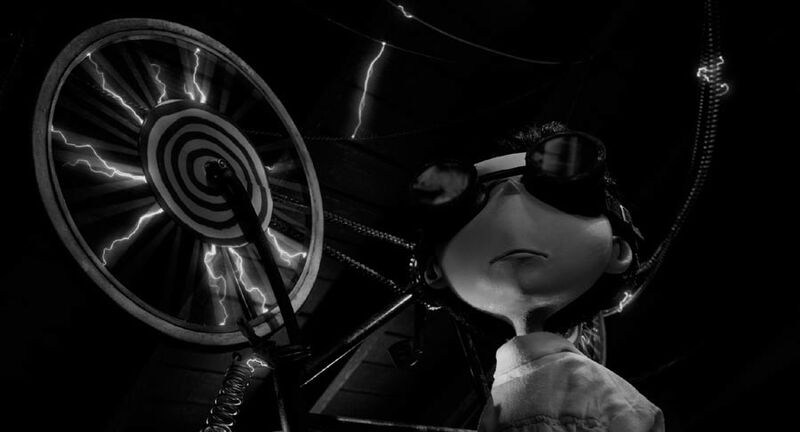 This October, Walt Disney Animation will present Frankenweenie, Burton’s first stop-motion film since 2005’s Corpse Bride. 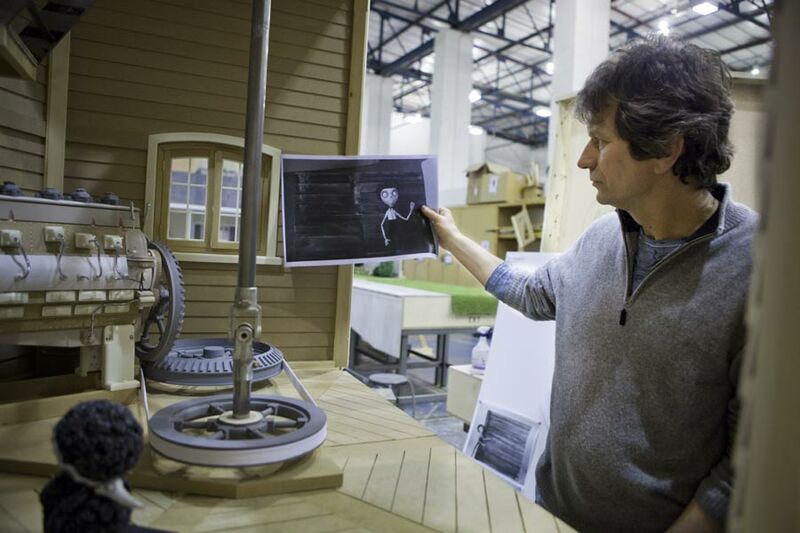 While we obviously still have a few months before the movie will be in theaters, last week I had the chance to not only see 26 minutes of footage, but talk with Burton, production designer Rick Heinrichs, and producers Don Hahn and Allison Abbate. Based on the live-action short film that Burton directed all the way back in 1984, the story is about a young boy named Victor (Charlie Tahan) whose dog, Sparky, is killed when he gets hit by a car. Unwilling to accept his dog’s death and inspired by the upcoming science fair, Victor figures out a way to possibly bring his dog back to life. While the young boy’s plan works and he is reunited with his best friend, things start going wrong when knowledge about Sparky’s resurrection begins to spread. 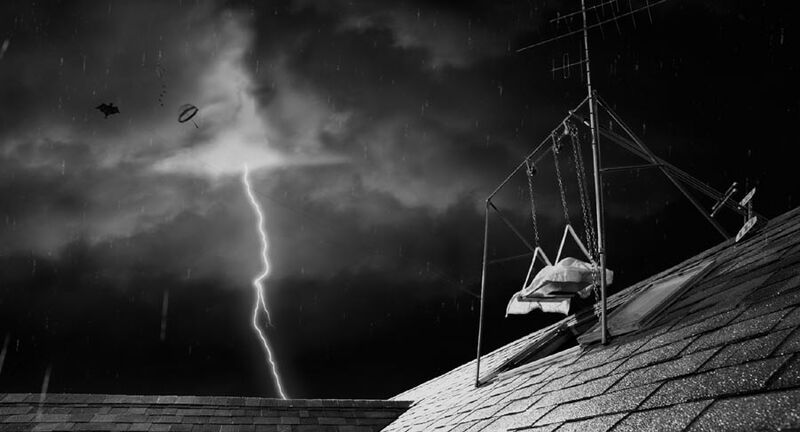 The Frankenweenie press day began with a small group of journalists, including myself, going to a screening room in Santa Monica, California where we watched nearly half-an-hour of the movie that was cut together from the first two acts of the film by Burton himself. Following the screening, I paired up with Germain Lussier from SlashFilm to record a video blog about what we got to see. Watch the video below! After the screening, the other journalists and myself were brought in for a roundtable interview with Rick Heinrichs, who served as the production designer on the movie. 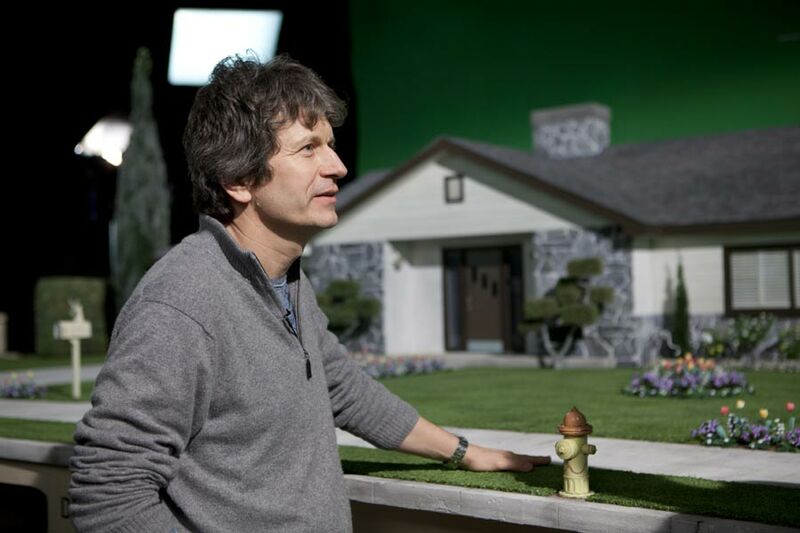 The film is far from the first time that Heinrichs has worked with Burton, as he served as a production designer on Sleepy Hollow, Planet of the Apes, and Dark Shadows; set designer on Edward Scissorhands; visual effects consultant on Beetlejuice; and animated effects supervisor on Pee-wee’s Big Adventure. 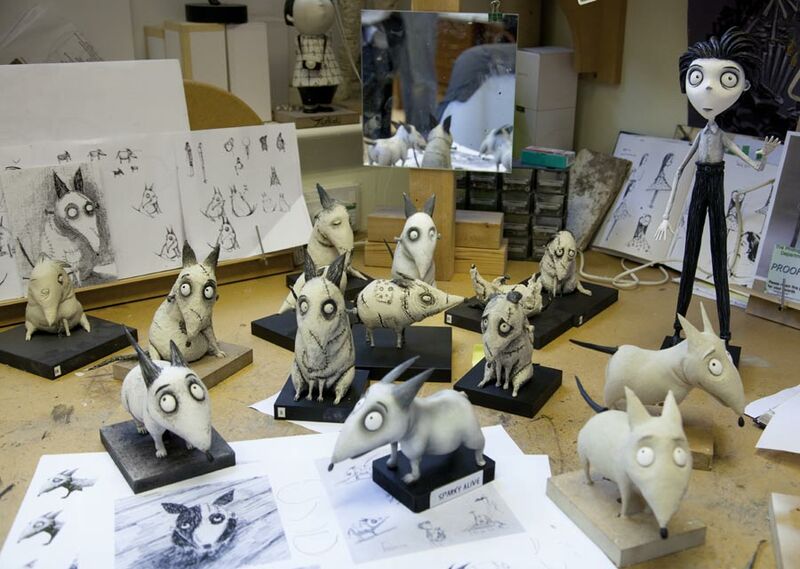 Talking about the early days of working with the director, Heinrichs said that he has had an eye on Burton’s work since their early days together at Disney and that his work as a sculptor and forming 3D models of Burton’s drawings led to their use of stop-motion. 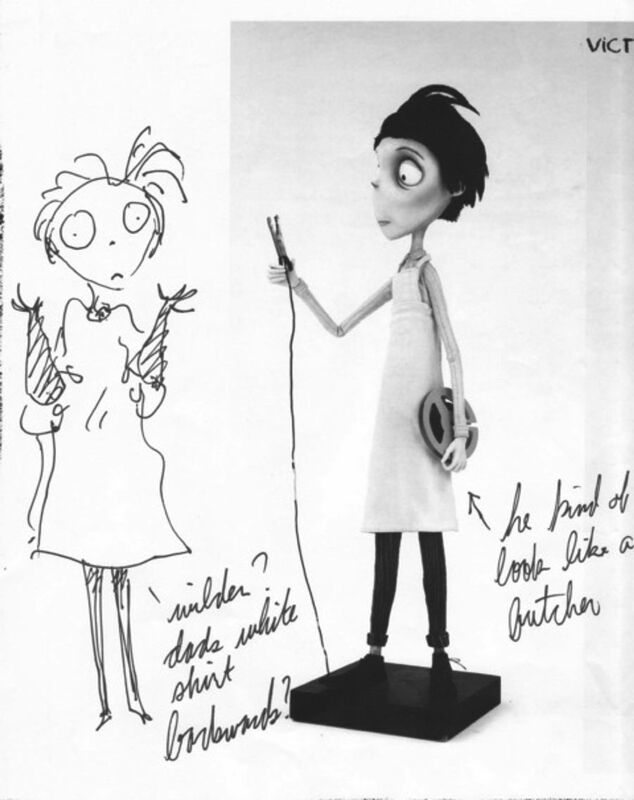 Producer Allison Abbate has also worked with Burton before, but unlike Heinrichs, she has only worked with him on his stop-motion features, which have included the aforementioned Corpse Bride and A Nightmare Before Christmas (which Burton didn’t direct, but did produce). Still, however, Abbate did see a difference between the director’s work on this film and his previous stop-motion work. 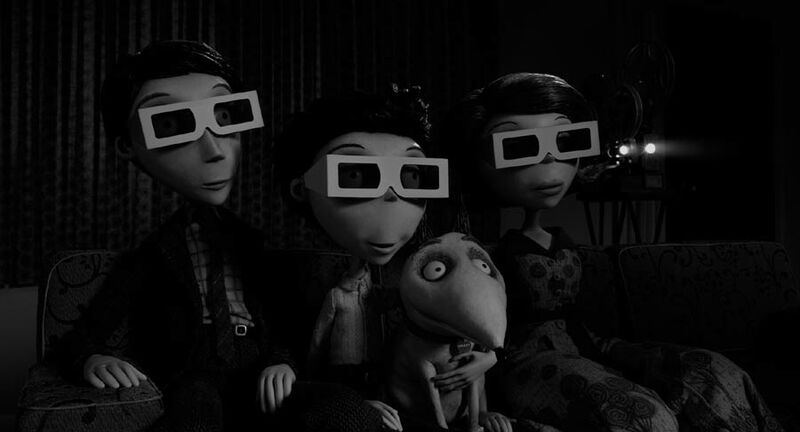 Because of Frankenweenie’s nature as a riff on classic horror, there has been some question as to how old children will have to be to see the movie. In the footage we got to see there were definitely some creepy moments, but the producers assure audiences that this is a movie for everyone. One thing that makes the film so special is that it also happens to be in black and white – a quality that isn’t typically seen in many kids movies this day. While some might fear that this look could potentially turn younger members of the audience away, as they don’t want to see some old-looking movie, the truth is that younger members of test audiences have actually been interested by the look. “I’ve shown little bits to kids, we’ve had kids come in to see it and for them it’s just a cool looking movie - especially if they haven’t seen a lot of old movies, it’s like ‘Sweet! How did you do that?’” Abate said, laughing. 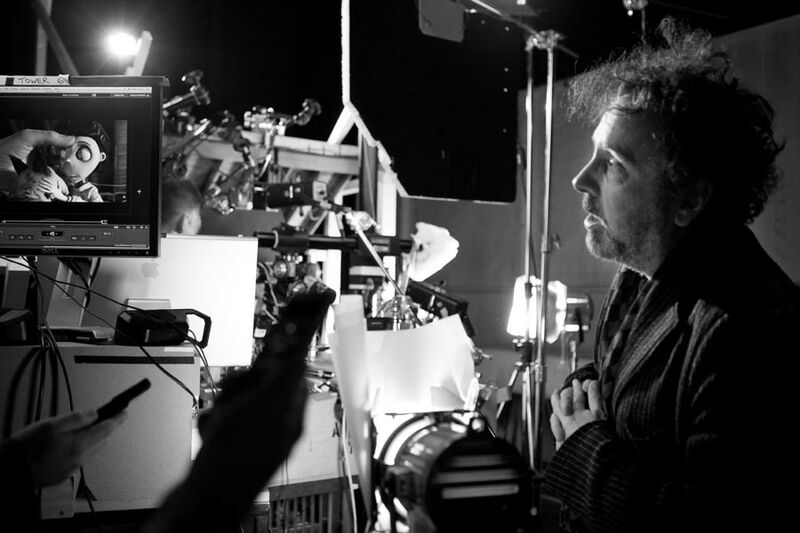 Frankenweenie will arrive in theaters on October 5th and stay tuned here on Cinema Blend later today when my interview with Tim Burton goes online. In the meantime, to read more about the stop-motion animated movie head over to our Blend Film Database.